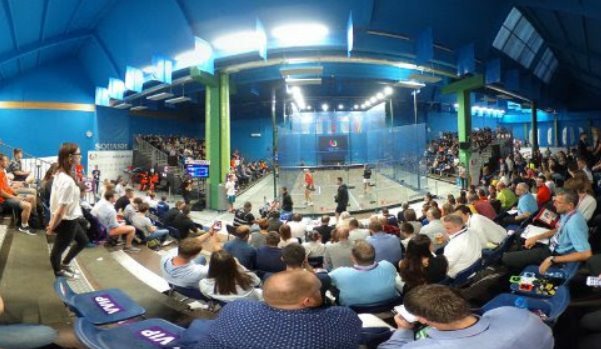 England players are competing in eight of the finals in the World Masters Squash Championships, with the certainty of three titles in the 10th staging of the World Squash Federation event in Cologne, Germany. There are unexpected all-English finals in the Men’s Over-55, Men’s Over-60 and Men’s Over-75 events. Hosts Germany are anticipating success in the Women’s Over-35 championship, through former world No6 Sabine Schoene, the top seed – and unexpected success in the Women’s Over-40 championship where fourth seed Simone Korell takes on New Zealand’s Judith Casbolt, the No3 seed, in the final. Over 800 players have competed in the championships – in which the oldest player has been Hazel Marsh, an 82-year-old from England who was giving several years’ advantage to fellow competitors in the Women’s Over-70 event.